Take 2 teaspoon (10 g) with 250 ml of water before training. Take 2 teaspoon (10 g) with 250 ml of water during day. 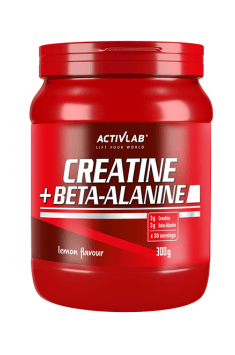 It is recommended to take creatine together with beta-alanine regularly. This arises from the fact that its proper levels must be reached in the body in order to experience effects of their intake. In order to maximise effects associated with supplementation, it is worth taking the product with carbohydrate meals and avoiding fat-containing meals. It is connected with the fact that these first macroingredients improve the transport of both substances to muscle cells where they exerts their effects. Fat molecules may in turn prolong their absorption or even decrease it. The daily dose recommended by the manufacturer should not be increased. This is related to the fact that their excess will be excreted from the body during creatine and beta-alanine saturation in muscles. Branched chain amino acids enriched with L-Glutamine. They improve muscle protein synthesis and inhibit catabolism.